← 79. Fortrose & Rosemarkie. 24 June 2018. 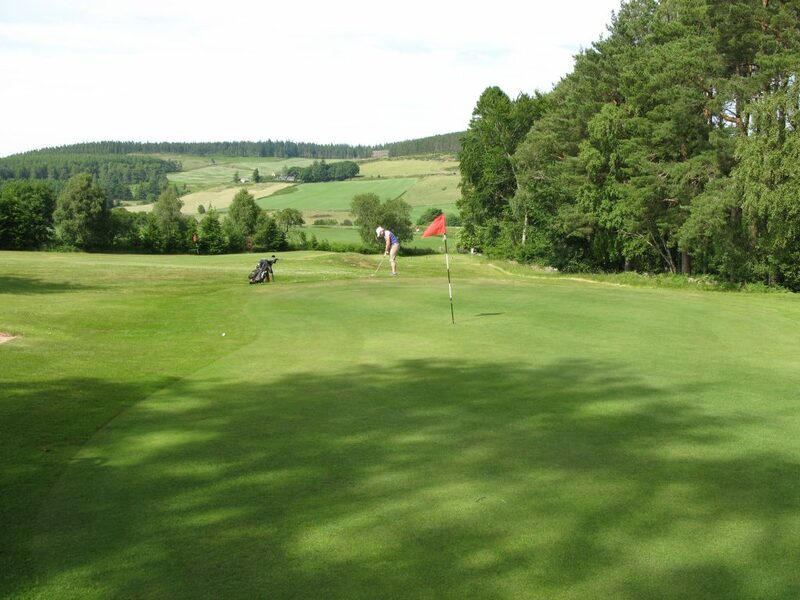 Torphins Golf Club is situated in Royal Deeside, in the village of the same name, 23 miles west of Aberdeen and 7 miles north-west of Banchory. This 9 hole golf course was founded in 1891 and the club established in 1896. I couldn’t find any record of the course designer or the course’s history, which is a real pity, as this really is a “Hidden Gem”, that oft-used but, so often, disappointingly flattering term. 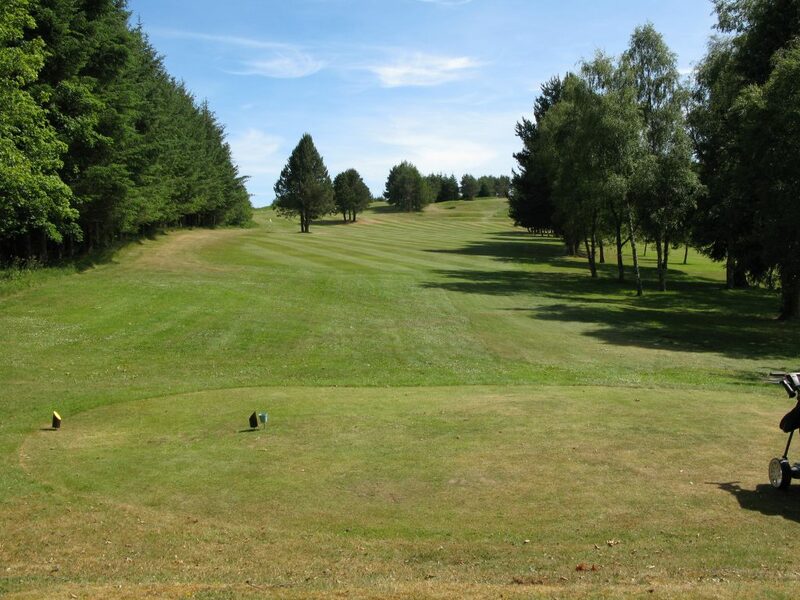 Torphins is an undulating parkland course with far reaching views of the countryside and it is worth going out of your way to play. It actually has 10 greens, with the 3rd and 12th holes sharing the same teeing ground and fairway, but the 2 greens are separated by a copse of trees. The lovely 3rd and 12th fairway from the common teeing ground at Torphins. 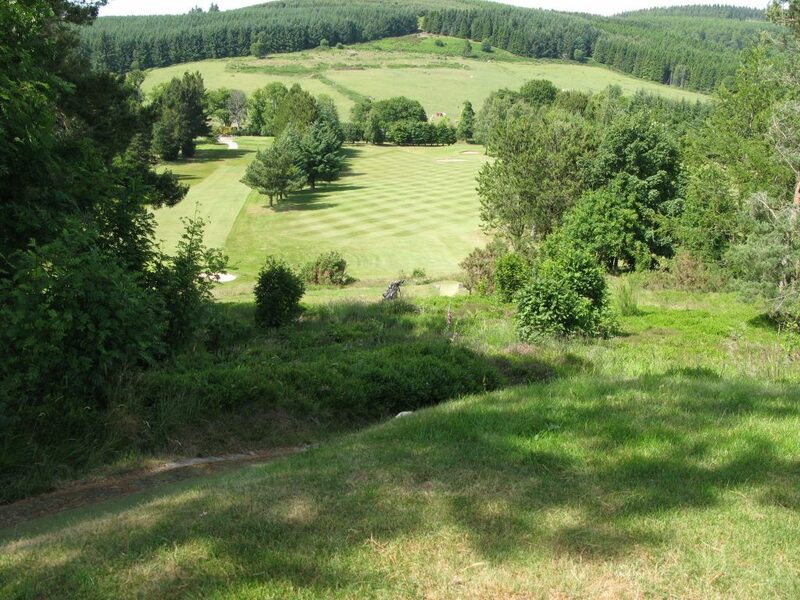 It is a great little golf course, with plenty of variation, and some really tricky holes. There are 4 blind tee shots, one being the par 4 6th (SI 1), a tough dog leg left hole, which I should have taken driver from the tee, as the apex to the dog leg is further than in looks as it is quite uphill. The greens were pretty small but in really excellent condition as were the fairways and tees. Value: whether as a member or as a visitor, Torphins represents incredible golfing value. 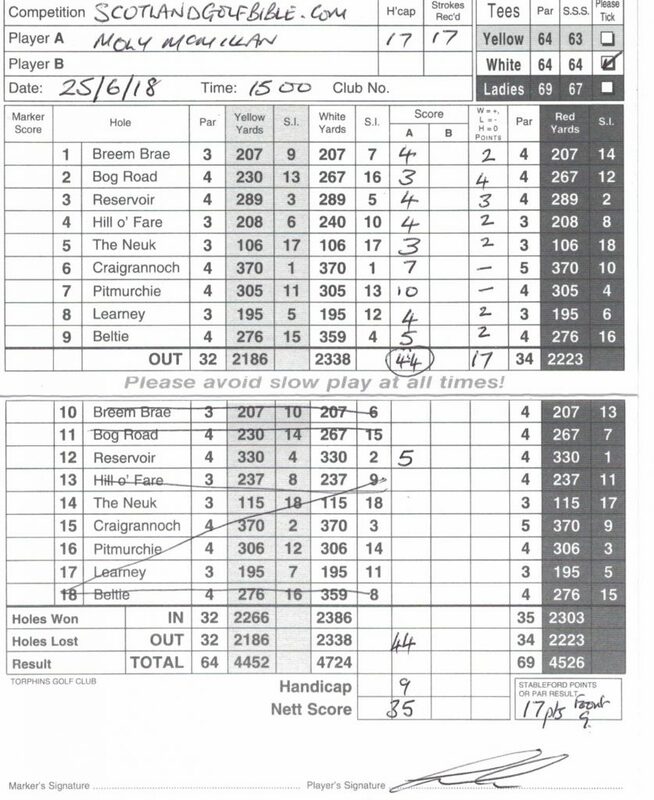 The 9 hole quoted rate was only £10, but my wife Fran and I payed only £7.50 each through the club website. A Monday to Friday annual membership, allowing 9 holes per day, is only £90, with Junior memberships starting at £20. This is 5 star value golf. The 2nd, a short par 4, at Torphins – my birdie hole on the day. An interesting fact – Macbeth was killed on 15 August 1057 only 3 miles from Torpins. “What’s done cannot be undone”, sayeth Macbeth – that’s how I felt on the 7th after my 10, having lost 2 balls! I still shot 17 point for the 9 holes. 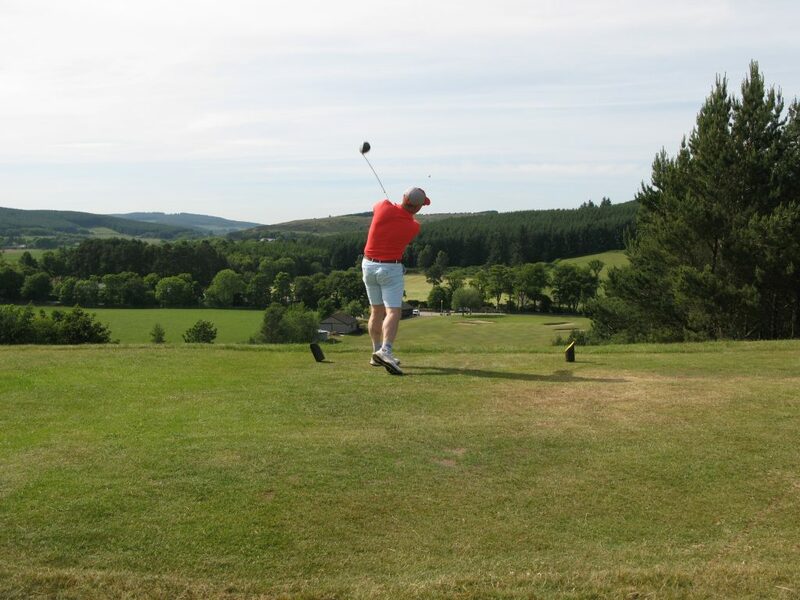 This entry was posted in 1851 - 1900, 4 star, 5 star, 9 holes, Aberdeen City and Shire, Course Architech, Course Owned By, Course Quality, Course Type, Holes, Members, Overall Value, Parkland, Price, Region, under £20, Unknown, When Course Established. Bookmark the permalink.